← Are the news really good for American Full Tilt players? There are many competitions that Phil Ivey has won over the course of time, but most of them were at the poker table where he feels in his element. More recently, the professional poker player won an important legal battle as the Nevada Supreme Court ruled against his former wife’s motion. The details of the entire scandal and the acts that determined Luciaetta Ivey to file legal action can be found at http://www.poker-king.com/poker-king-articles.php?article=1481. Phil Ivey divorced four years ago and since then his wife claimed that she didn’t receive the just compensation and that her former husband was delinquent on his alimony. What led to the scandal and the aforementioned motion was the fact that Luciaetta Ivey felt that the judge presiding over their case was not entirely impartial. The catalyst for the entire affair was a campaign contribution made by the poker pro and his lawyers, for a total amount of $10,000. His wife proved that Phil, David Chesnoff, his wife and John Spilotro made several contributions following the verdict. She tried to convince the Supreme Court that the money was awarded in connection to the sentence the judge gave a few months before, but she failed in her quest. Nevada Supreme Court decided unanimously that Judge Gonzales can’t be suspected of improper behavior and that his solution was not influenced by the subsequent campaign contribution. What led to this verdict was the fact that the sheer amount was simply too low to erase any doubts, not to mention that it was within statutory limits. The motion was dismissed shortly and the poker player was surely relieved to know that at least for the time being he is off the hook. His wife is not willing to give up the fight, as she considers to have been deprived of her monthly settlement worth $180,000. 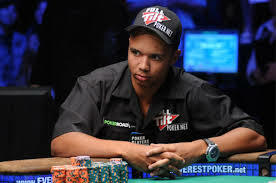 Phil Ivey used to pay that amount before the disbursement from Full Tilt but once the US Department of Justice shut the poker company down, he ceased to pay anything. His lawyers claim that the wife got millions as a result of the uncontested divorce, but Luciaetta Ivey has a different opinion and seems willing to fight for it in court. Meanwhile Phil Ivey made a few hundred thousand dollars while playing in a high-stakes poker game in Mexico and seems to be not distracted by the legal proceedings. In other news, the US government got involved in the process of setting up a commission that will compensate the victims of the fraud orchestrated a couple of years ago by Full Tilt.